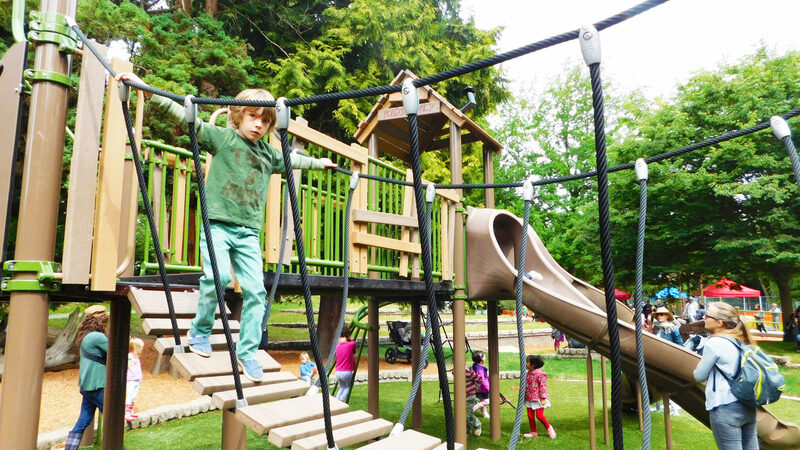 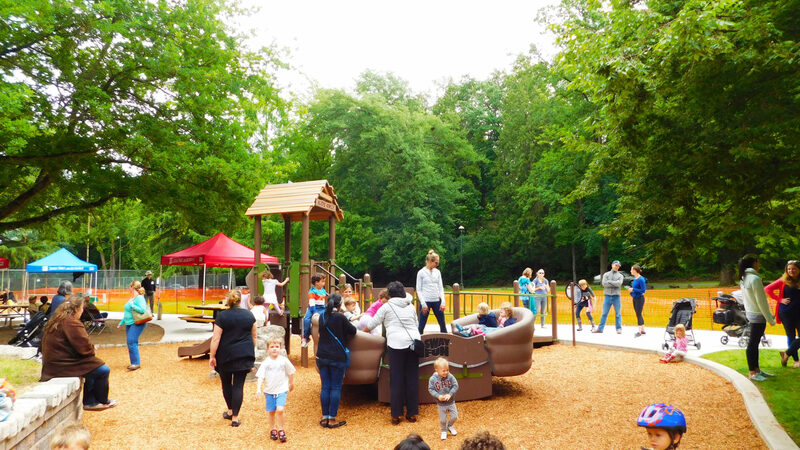 Mount Baker Park includes a nature inspired play area with two playgrounds, each adhering to different age groups. 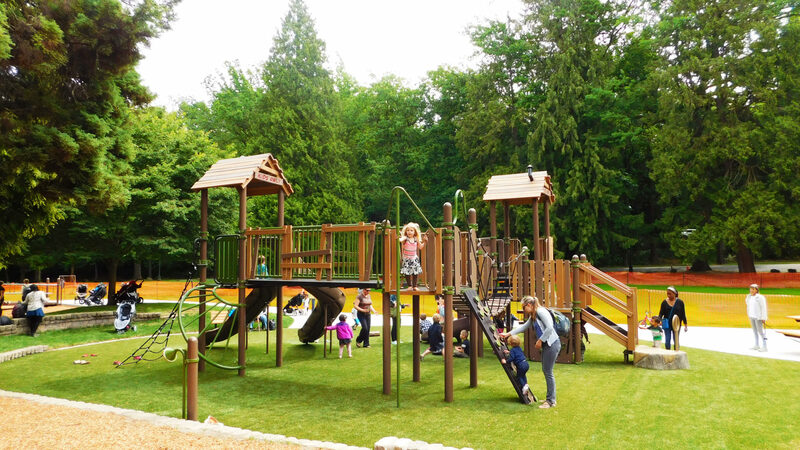 The 5-12 area contains a PlayBooster® that has kids imagining themselves in a big tree house. 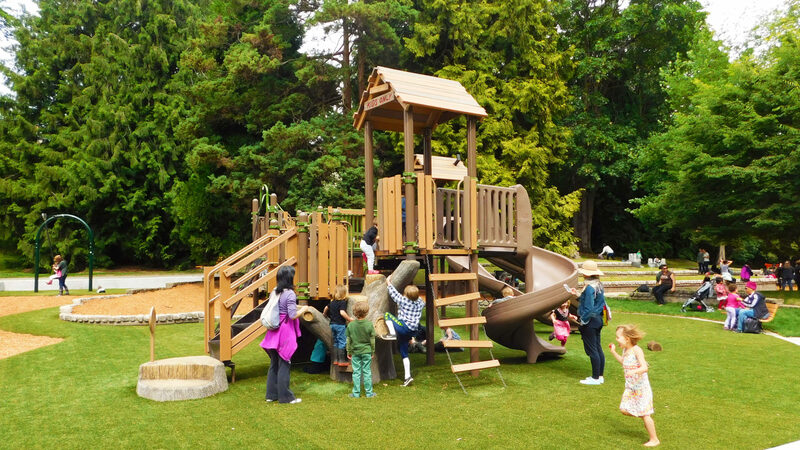 Due to the nature theme, It has a Wood Plank Wiggle Ladder, Rickety Bridge, Cliff Climber and more nature inspired play equipment. 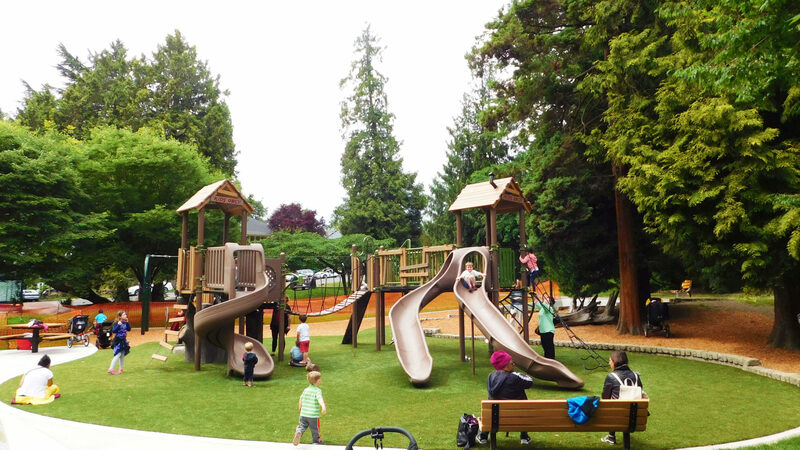 In addition the 2-5 Area is a smaller PlayBooster® with a Double Poly Slide, Sway Fun® Glider that is wheelchair accessible, and much more!